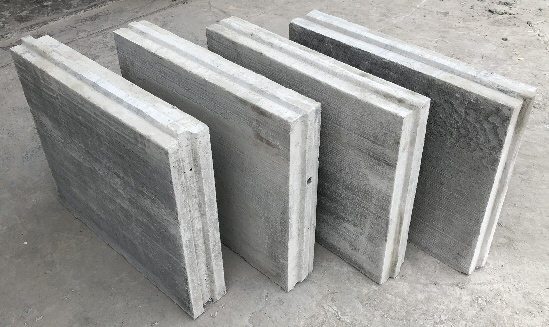 The latest development in building partition or non-load bearing walls are 60 x 50cm foamed concrete (CLC) panels. These pre-cast panels have grooves so that they interlock. For internal walls they are made from foamed concrete with a density of 650 kg/m3. For external walls the dry density is 850 kg/m3. Since the panels are bigger than blocks, it is much quicker to construct a wall with the panels. Another similar design are large hollow core, interlocking panels. 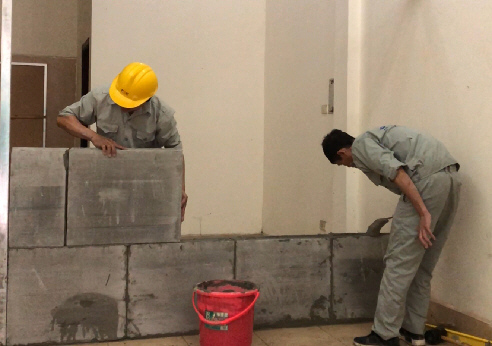 The large size compared to regular size blocks, and the interlocking design, means that these foamed concrete (clc) panels can be assembled into a wall far more quickly than regular sized blocks can. They are easy to handle since each panel can be lifted by one worker. The tongue and groove design ensures correct placement of foamed concrete panels and provides additional lateral strength to the wall. The panels are made using a low shrinakge mix design. The wall can be finished using only self-adhesive fibre glass tape along the length of the mortar joints, followed by a 1mm skim coat of plaster over the entire wall or wall paper. 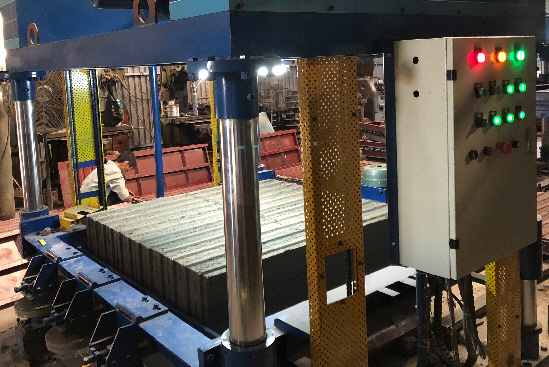 To make the pre-cast panels, foamed concrete is poured in to a large mould. After 3 - 4 hours the large block of foamed concrete can be cut with an automatic cutting machine. As with foamed concrete blocks, the panels must be cured for 28 days before they are used.